It's less than 50 days until MINECON Earth 2018 and we're ready to start the countdown! If you're new to MINECON Earth, we're here to get you up to speed with what it is, what to expect from this year's event, and give you a little bit of insight into the event's exciting history. 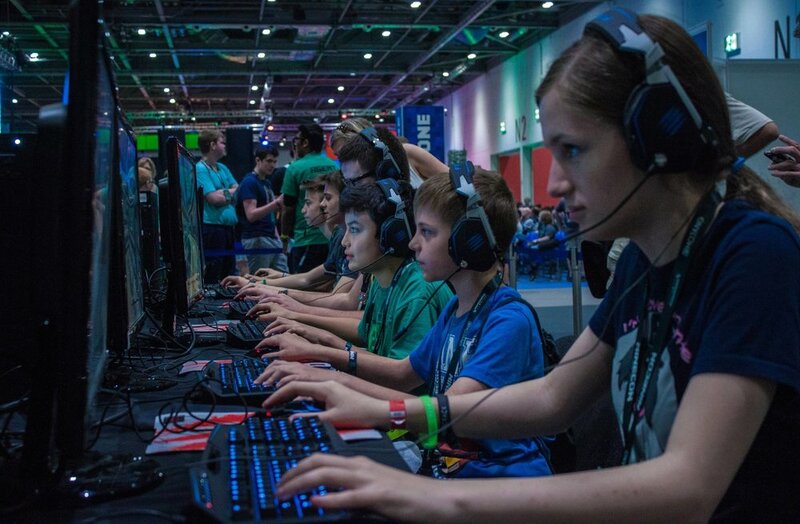 MINECON has been around for almost as long as Minecraft itself and it's always been a great opportunity for Minecraft fans and players of all ages to come together and celebrate being part of such an exciting and wide reaching community. According to an article on Business Insider's website, Minecraft continues to be one of the most popular games ever made with a monthly userbase of approximately 74 million players. That's 74 million other people across the world that love the game that you love, and MINECON was created to give people the chance to come together and celebrate the game. Between 2011 and 2016, MINECON was a physical convention with thousands of attendees, visiting big cities across the USA (as well as a visit to London back in 2015) with panels, activities and opportunities to meet your favourite creators. There were stage shows for everyone to enjoy, as well as booths where map creators could show off their latest stuff. In 2017, Microsoft decided that in order to bring MINECON to as many people as possible, they needed to make it more accessible. And so, MINECON Earth was born! MINECON Earth is a combination of a convention and live stream, with guests, interactive elements and dozens of official viewing parties being held across the globe. There will be live gameplay, as well as interviews and panels with some of your favourite YouTubers. You can even take part in the worldwide costume contest from home! Apply right now with pictures of your costume for the chance to win a trip to MINECON Earth in Boston, Massachusetts where you'll be able to show off your amazing creation live on the official broadcast! For MINECON Earth 2017, special guest Will Arnett co-hosted the live stage show alongside Minecraft's own Lydia Winters. This year Lydia, who is the Minecraft Brand Director over at Mojang, took to YouTube to announce that some of your favourite Minecraft celebs will be co-hosting the show instead! She'll be joined by the fantastic Aureylian, OMGChad, Yammy, BigBStatz and Yogscast's InTheLittleWood. There's an interview with each of them over on minecraft.net where you can find out a little bit about them (if you don't know much about them yet), including their favourite way to play Minecraft and their favourite Minecraft mob! So where can you watch this year's MINECON Earth? As mentioned above, it's a live event that will be streaming for free on September 29th over minecraft.net, as well as selected streaming sites. If you're really looking to get involved in the action, MINECON Earth parties are being held all across the USA and Canada in participating Microsoft stores, as well as many other locations all over the world, where you can join others just like you to watch the event! You can find your nearest viewing parties via the Minecraft website, or to host your own party, click here. What would you like to see from MINECON Earth this year? Comment down below!